A few brief updates from Eric…. In the afternoon he and Chad and two women walked through the neighborhood and asked people if they needed help. A woman stopped them and asked if they could move a huge wardrobe out of her home. They went in, and saw where the tsunami had come in up to the second floor. 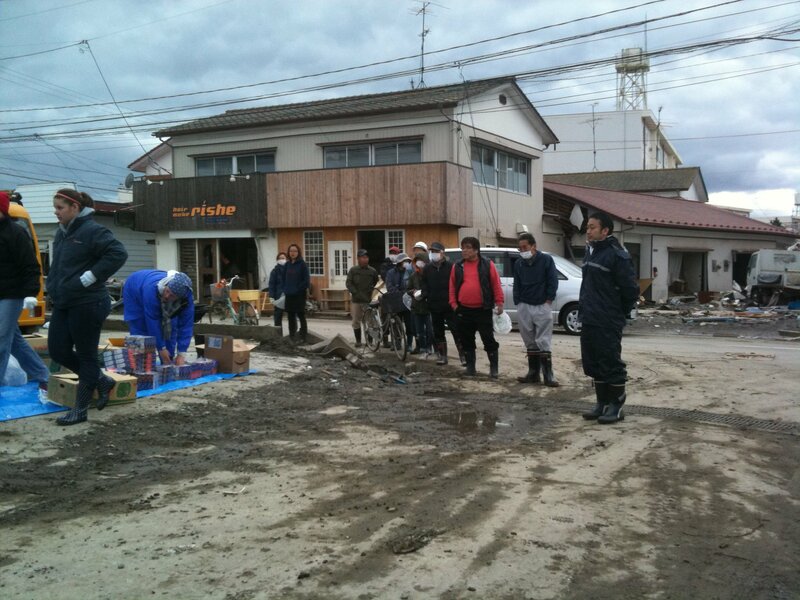 The tatami- straw- mats were all gone, leaving just exposed floor boards and plywood. After helping move out the big piece of furniture and throwing it on a trash heap, she asked if they could clean her back yard. Eric said he wished they had a wheel barrow, but did their best with shovels and buckets, throwing all the debris and soot on the trash heap as well. She was very thankful when they were done. 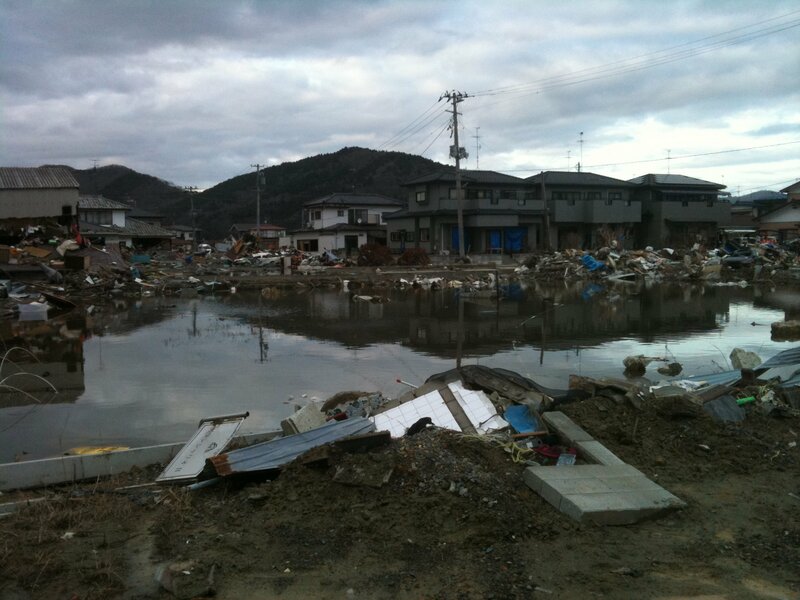 Yesterday there was quite a bit of snow and rain, which creates a problem as the drains no longer work in these areas that have been filled with tsunami stuff. So the water from a day of rain that would normally drain creates a flooding problem. It has been quite cold the past few days, as well. 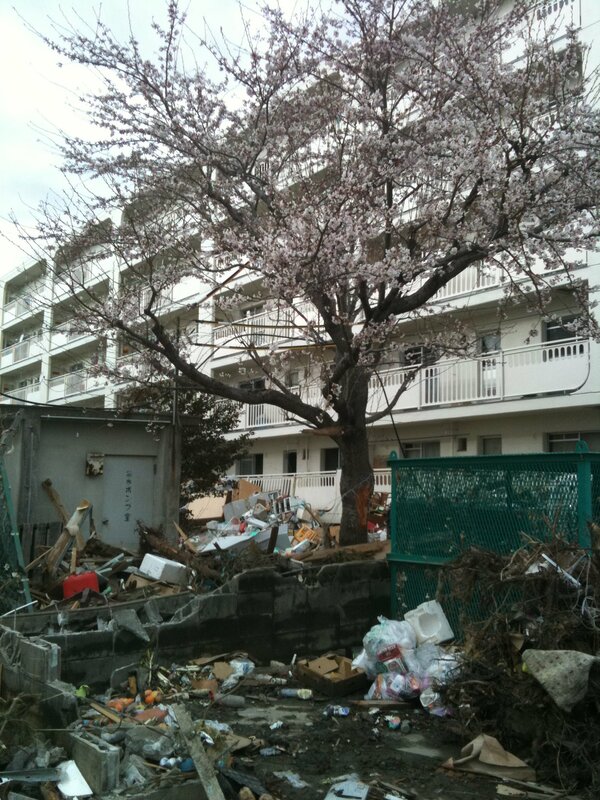 Finally, one more photo that Eric sent – he called it hope is blooming. We all needs signs of spring and hope in our daily lives.